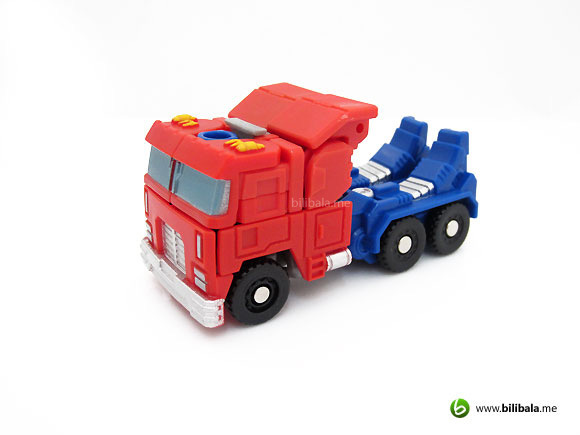 Before any release of deluxe or voyager Optimus Prime under the Trilling 30 Transformers Generation line, the legend class for this round takes the lead of making the first appearance. Now, people may perceive legend class being the smaller and much simpler (and sometimes brainless) transformation among all classes. 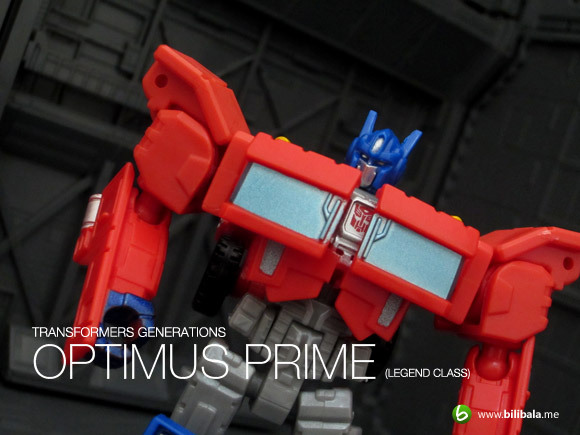 You might have to change that from now on as this new Optimus Prime legend class has definitely set a new standard to the term “Legend class”. Read on to find out what are the surprises laid for you! First off, the packaging. I still remember the old and “traditional” legend class which i have, has really small packaging. Not to mention, it only comes with a single figure inside. 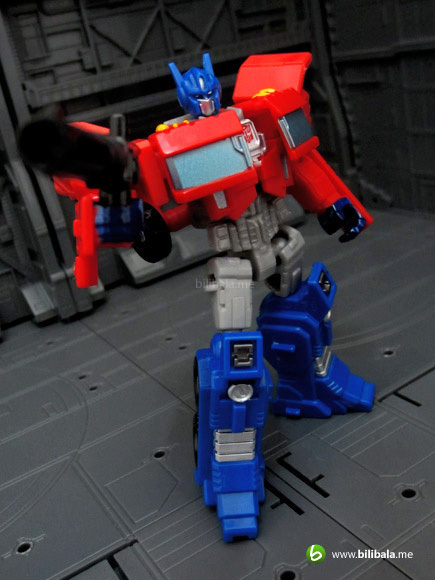 Not for the case of this line for this figure comes packed with a triple changing counterpart which apparently boasted as being the main gimmick for the toy. 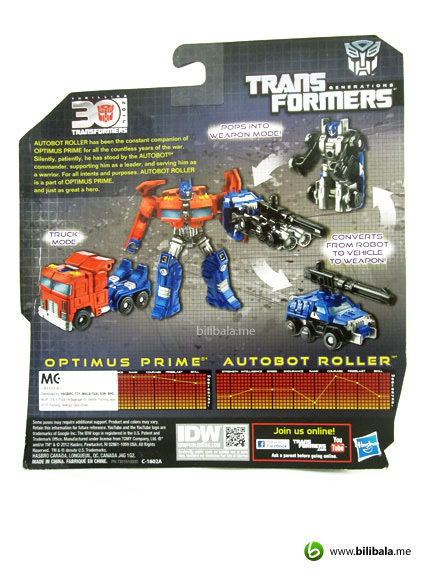 A very rough reveal on the triple changer Roller at the back of the package. 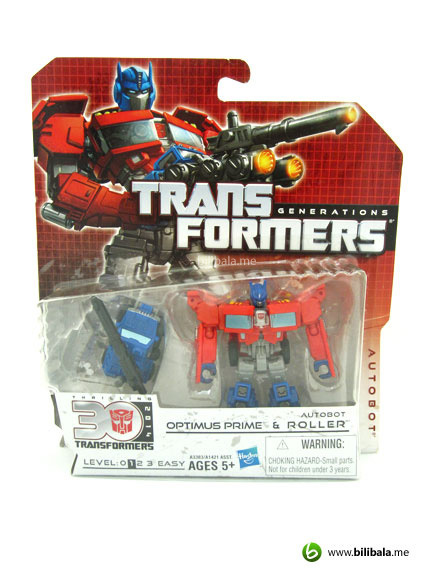 Again, the IDW logo at the bottom of the package suggests that this design of Optimus Prime legend class is heavily based upon with. If you are reading my previous 2 posts on other Trilling 30 years generation figures (Springer and Blitzwing), IDW designs seemed to be the driving force for this line’s design. 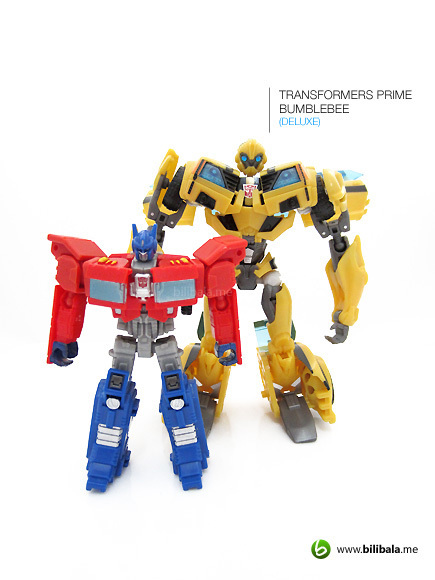 I guess we can pretty much assume that more IDW-base designed Transformers toys will be coming in soon. 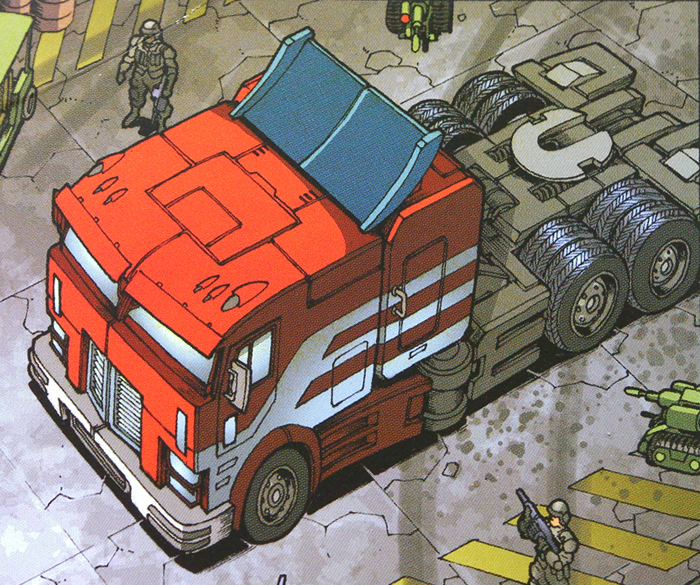 The iconic red truck is almost accurate to it’s IDW design from Don Figueroa. 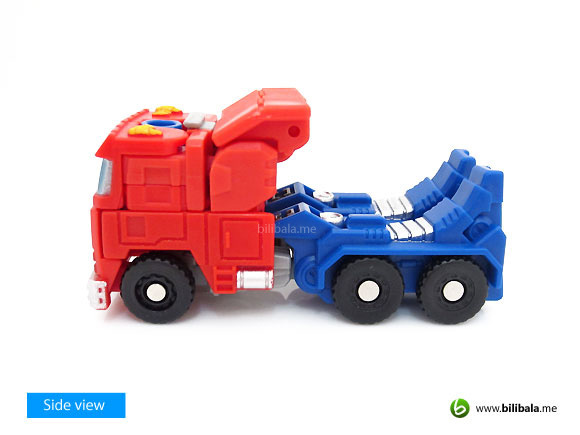 The only part that gives away the sluggish design is the rear part of the truck that obviously is the leg of the robot. This part of design doesn’t show in the much cooler form appeared in the comic anyhow. Oh well, couldn’t expect more for such a small figure though. Though being small, we must say Hasbro has put a lot of efforts in making it worthwhile for collection. The first to be noticed is the paint job itself along with some smaller details. Be expected to see vastly use of metallic silver paint over details on the plastic: grills, front bumper, headlights, etc. Despite smaller areas are painted, paint chips and uneven paints are hard to find. One thing we have noticed is the quality of plastic being used which is quite similar to those latest Dark of the Moon commander class. It’s very solid and doesn’t weight as cheap as those previous cheapskate legend/legion class. 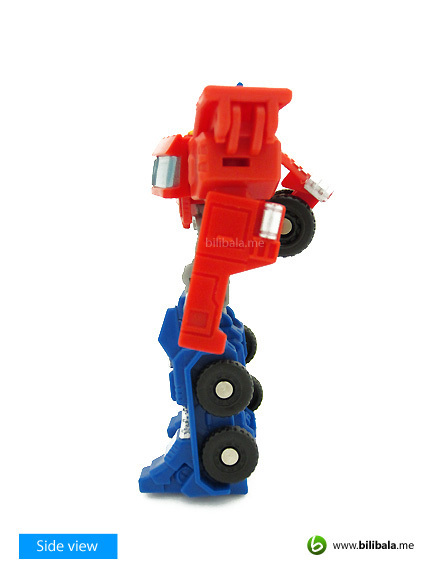 It adds on with values too with 6 rotatable wheels. Just plain rear view without any tail lights and bumper detailing. That’s the sluggish part. 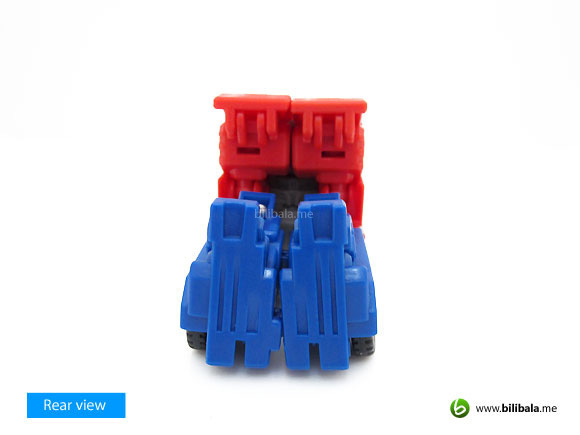 The entire rear design just gives clear resemblance of being the robot foot pieces. Noticed anything peculiar and off symmetry? Yes, there’s a massive 5mm port located near the front of the truck. It does suggest that any allowances of weapon plugging in there. However, we can’t just accept the fact that it is poorly located and spoiled the design of a nice truck. A possible and better placement would be located at the rear where it used to be the trailer connector point. 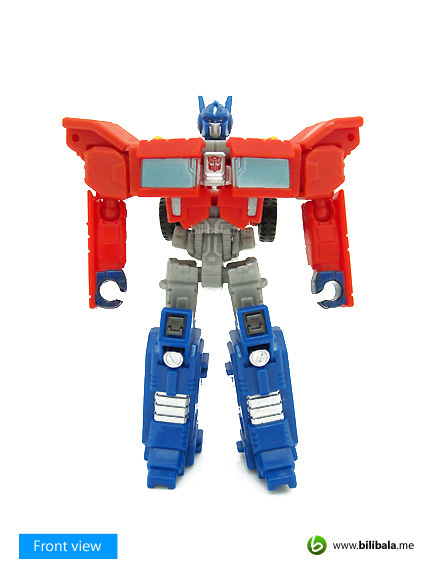 Off to the robot mode. Couldn’t expect him to be so much detailed as what is in the comic. Yet, he still poses much more greater and in depth details being a legend class. 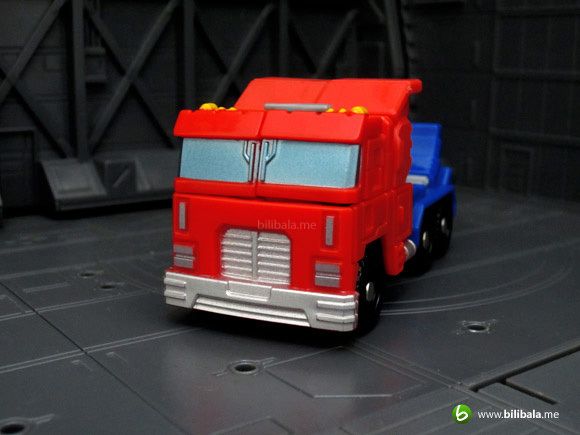 From here, a clearly painted Autobot insignia is being revealed in a highly glossy silver metallic paint. Though how good it looks with the shiny paint and all, there are some nuisances over the chest revealing insignia gimmick which we will touch more in “the bad” section. Back kibbles? Nah. There are none. 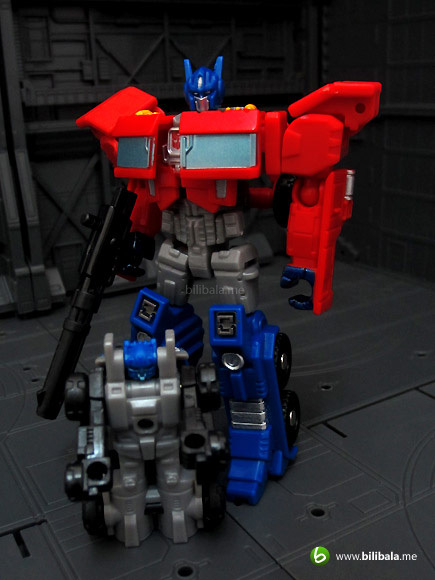 Wouldn’t expect to see heavy backpack for a small figure like him. Now another point of peculiarity. 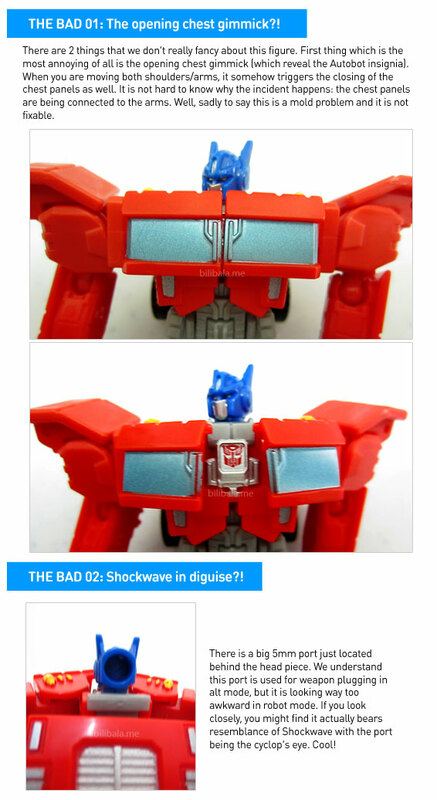 Apparently the massive 5mm port has not only create visual unpleasantness to the alt mode, the robot mode also suffers from it as well. From the back view of the robot, it does seem like a Shockwave in disguise that appears at the backside of Optimus Prime. Good to have 2 robots in 1 figure? More value i guess. Let’s zoom in a closer look at the torso section. The headpiece is nicely sculpted despite of its groundnut size. Again, metallic silver paint can be seen on the mouth piece along with some simple paints over the eyes. Couldn’t expect much for light piping for figure of this size. We like how the details sculpted on the lower abdomen of the robot as well. They appeared not just in one flat pieces but with detailed lining and complicated looking details. Another MAJOR different for this legend class is the articulation. Remember those almost-none articulations for previous legend class? Well, you can kiss them goodbye. 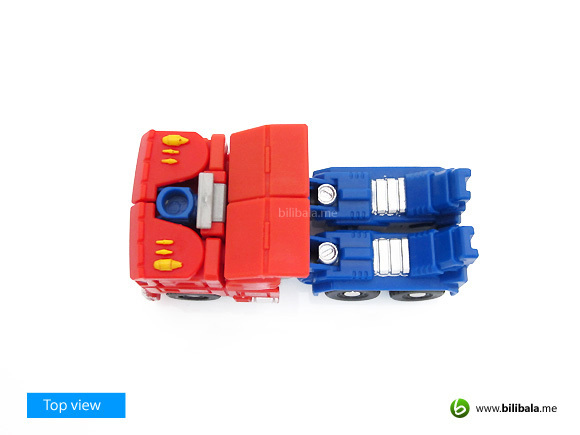 This new legend class comes with sufficient articulations which can make him rock. 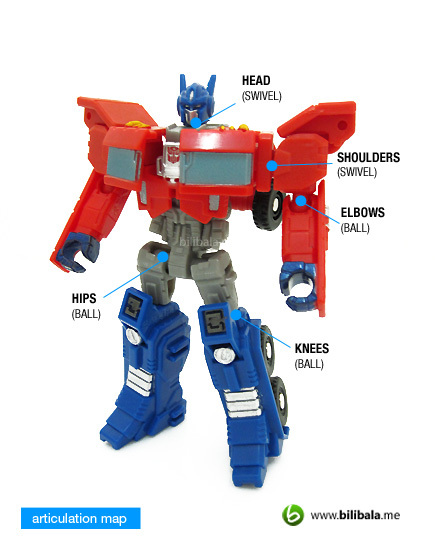 In fact, abundant usage of ball joints on vital parts makes him a very poseable figure too! 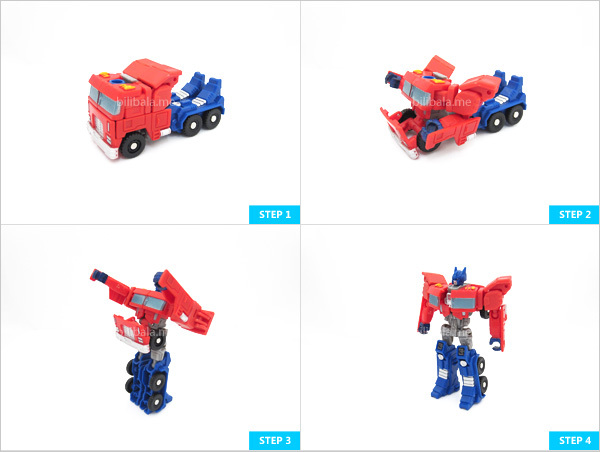 Forget about 2 steps flip in and out brainless transformation in legend class. This new baby exhibits much more intriguing transformation process. 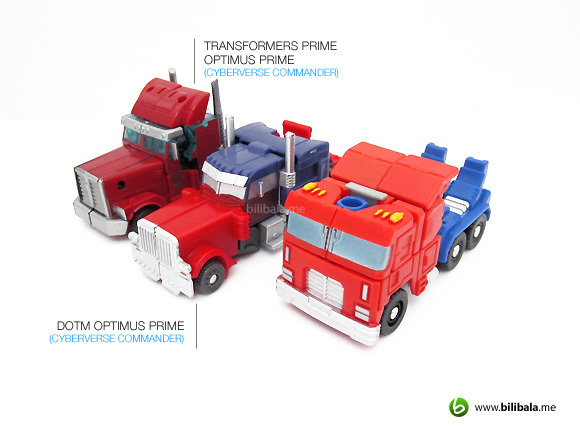 Much comparable to the cyberverse commander class, it does set a higher standard as being a legend class. Not to mention superseding the smaller legion class as well. Now, for the moment you been waiting for: the size comparison. 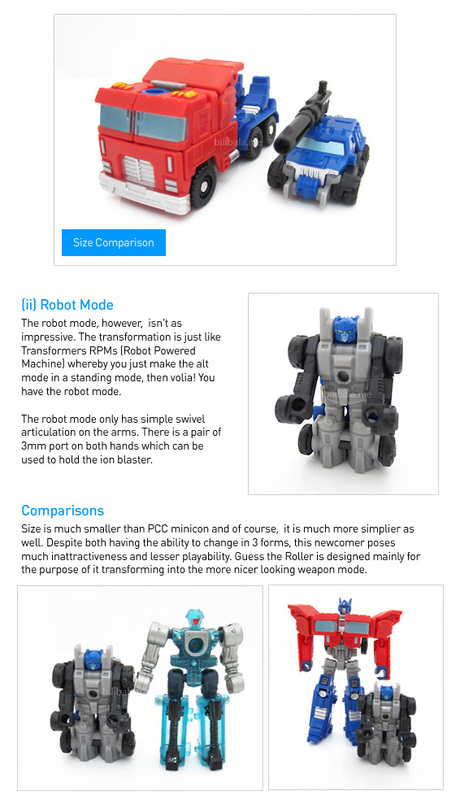 We have a line up of robots to compared with this new legend class. 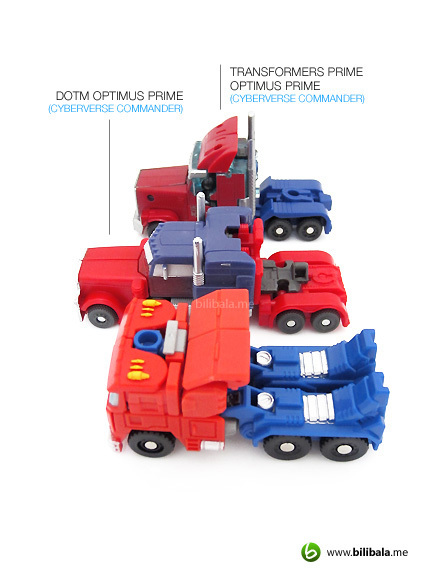 Very obvious that the new legend class Optimus Prime stands proudly as the same size as commander class and larger than legion class. How about previous legend class? 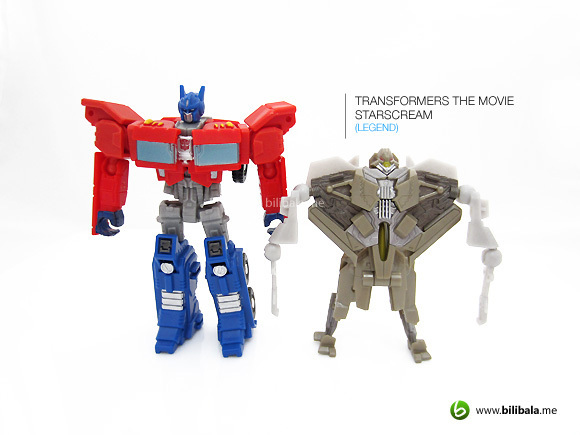 We have only the TFTM Starscream to compare with. But it does amaze us how far can a new legend class be, from details to size. He stands half as the height of a deluxe class. Well, maybe a quarter more taller. 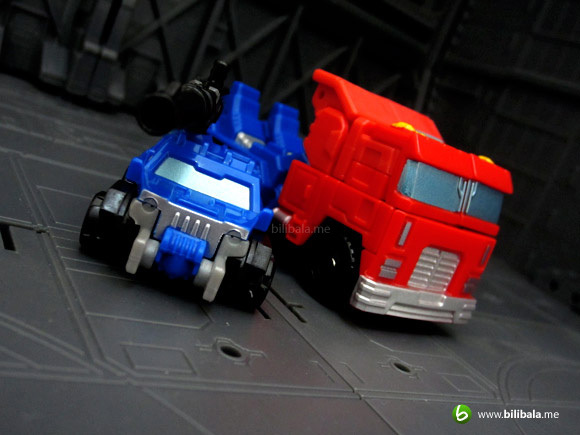 Comparison in alt mode. All 3 are the same sizes. 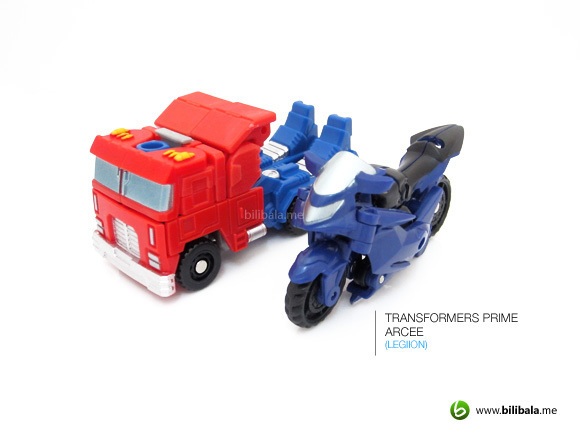 Well, not actually a good comparison though as the legion Arcee alt mode looks freaking big as compared. A motorbike of the size of a truck? Go figure. 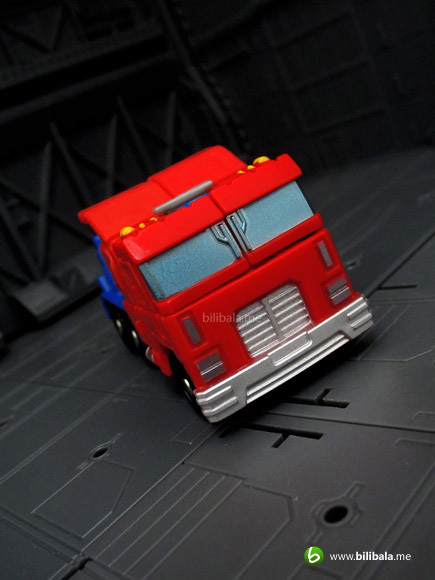 We are not sure why this Optimus Prime is branded as legend class though. 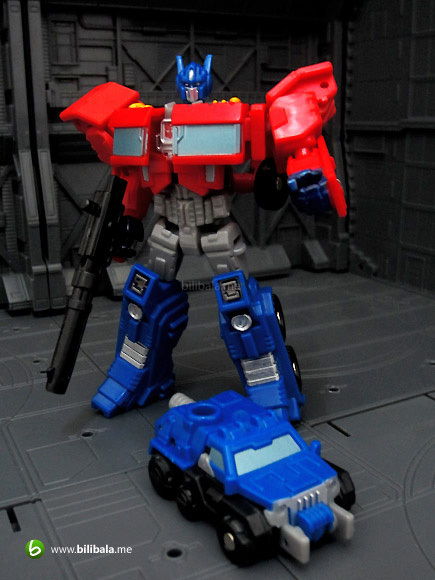 From size, details and articulation, it does look like one commander class! 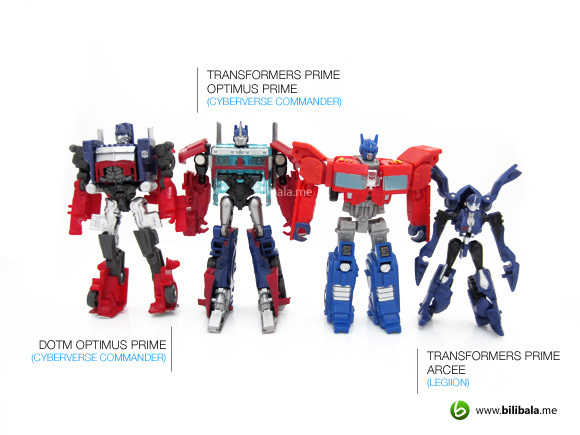 In all, we are very impressed of how this sets a totally higher standards for legend class Transformers. 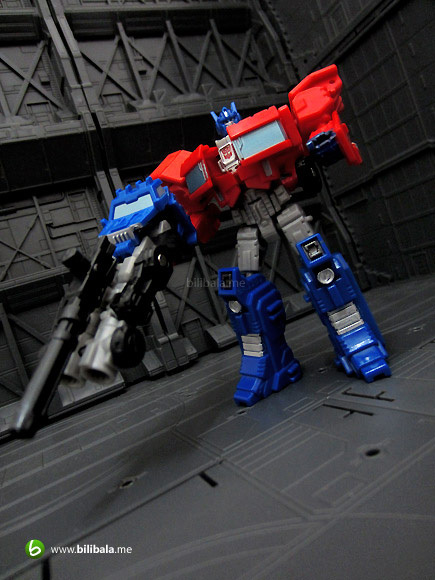 Play-ability, gimmicks, poseability are what all added to the price worth for this piece. 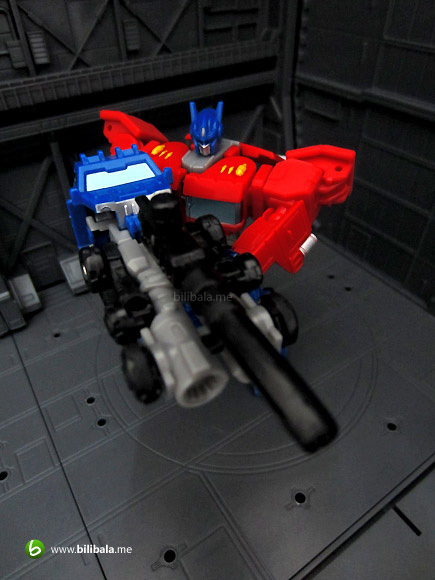 It’s definitely a worth buy if you can give and take the small design flaw it has with the chest gimmick. 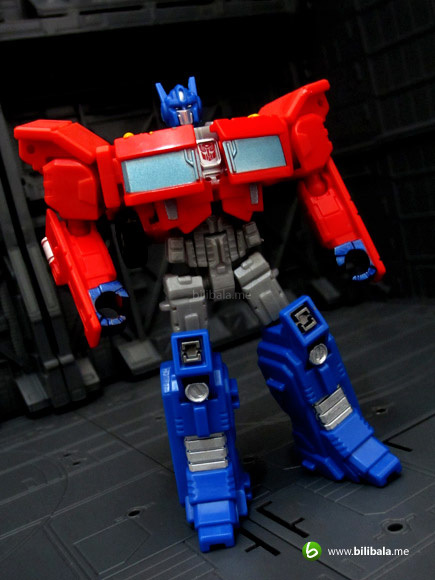 However, if you are looking for an even more better IDW Optimus Prime that is bigger in size, you can wait for the 3rd Party Toyworld version which uses the same IDW design as foundation. 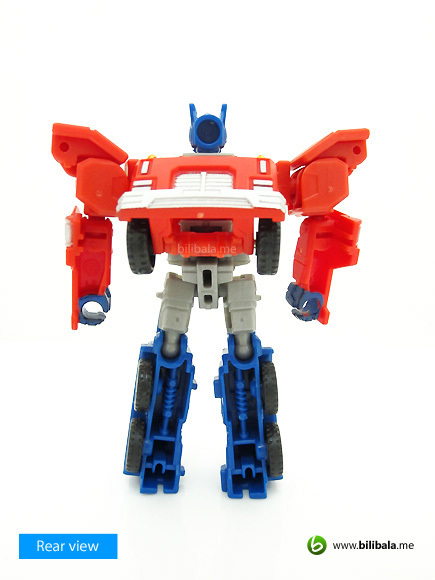 But in the meantime, grab this first as he might become a very nice in-scale figure with the massive Metroplex to come. 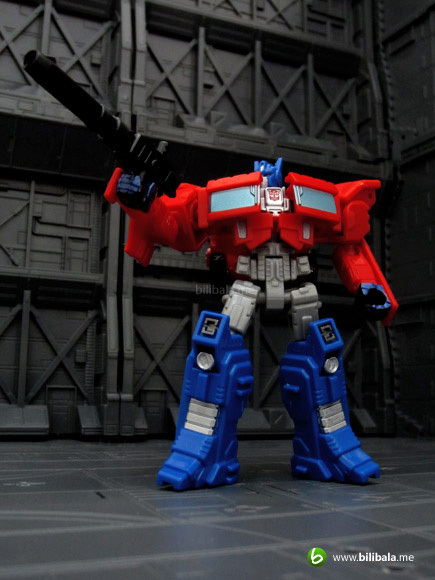 What I like – Poseability; gimmicks; paint jobs; not-so-legend-class transformation. 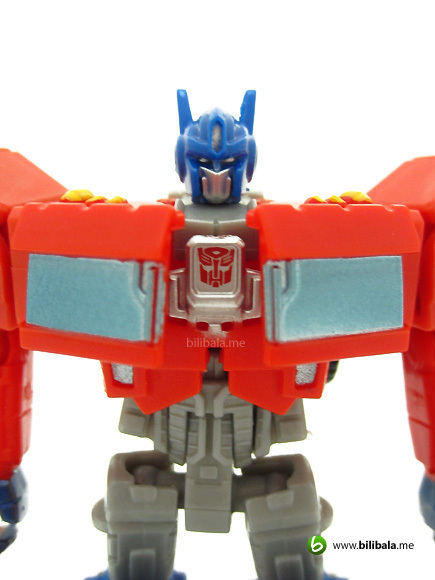 What I dislike?– Chest opening gimmick; “Shockwave” persona in Optimus Prime?! 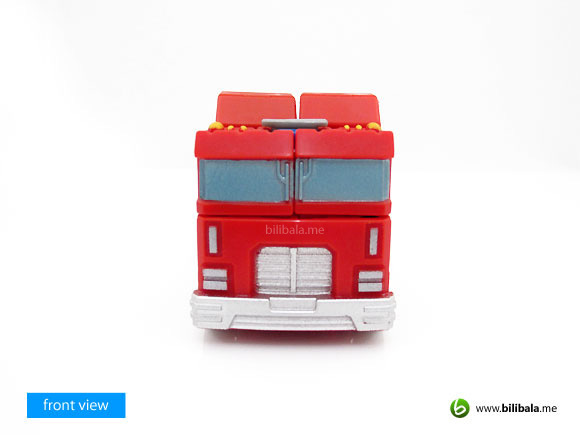 ; sluggish design on rear part of alt mode.